Announcing Flutter’s Beta 2 Release — The second beta of Google’s mobile UI framework introduces an improved asset system, refined developer tools and more. Update on Ionic View for iOS — The Ionic View app was removed from the app store by Apple last week and is still unavailable in the store as of today. Here’s an update from Ionic. 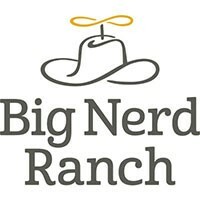 Online Tutorials for Intermediate to Advanced Developers — The Frontier: Screencasts - Quality content from the authors of The Big Nerd Ranch Guides. Introducing the Payment Request API for Apple Pay — Safari 11.1 on macOS and Safari on iOS 11.3 now support the W3C Payment Request API for conducting Apple Pay transactions on the web. Designing For Accessibility And Inclusion — A closer look at the different lenses of accessibility through which you can refine your designs. Building with Flutter — An intro to building cross-platform mobile apps with Google's mobile UI framework. First Windows 10 Progressive Web Apps Published by Microsoft Hit The Store — Microsoft just self-published 14 new PWAs to the Microsoft Store. Here is what they are and what you need to know. iOS Developers Ship 29% Fewer Apps In 2017, The First Ever Decline — ..and more trends to watch.